Our Lincoln Store was our fifth store to be opened back in 2003. It is a super little store located in the heart of Lincoln, on the corner of Dixon St and High St which is very convenient. The store is full of daily living aids with everything from a fully working stairlift model to a range of mobility scooters, power chairs and much, much more. There is parking at the side of the store, just outside the door. So for professional, friendly help and advice come and chat with our Lincoln team, they are sure to have what you are looking for. We have 8 used mobility scooters that are available to view at our Lincoln store. 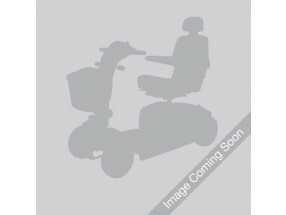 Are you from Lincoln and looking for a mobility scooter? Come down to Eden Mobility on the high street in Lincoln - our friendly team will give you all of the help and information that you need on mobility scooters, or anything else that you require. Powerchairs are perfect for those persons with disabilities. It allows them to electronically control their chair both indoor and outdoor with excellent manoeuvrability. Come and see our powerchair range today at our Lincoln store. Our staff will be able to answer any questions you may have. Rise and recline chairs are perfect for those who want to sit down and get up from a chair with ease. Eden Mobility have a variety of rise and recline chairs available in a selection of different styles and colours - all of which are built from high quality materials. Come along to our store in Lincoln today to view them for yourself. A stairlift is perfect for those who are unable or struggle to get up and down the stairs. With our range of straight and curved stairlifts, you'll be able to regain your freedom and be able to access areas around your home that you once before struggled with. Visit our Lincoln store today to see our stairlift demonstration kit for yourself. Eden Mobility have the capabilities of supplying and installing a stairlift into your home - straight or curved. These stairlifts are available brand new and in refurbished condition - if a stairlift is something you're interested in - please don't hesitate to contact us today for a free quotation. If you are looking for a wheelchair for yourself or for somebody else that you know, Eden Mobility can help. Eden is the UK's largest mobility specialist and have a variety of lightweight and heavyweight wheelchairs available to buy online and in store. Come and see them for yourself today.